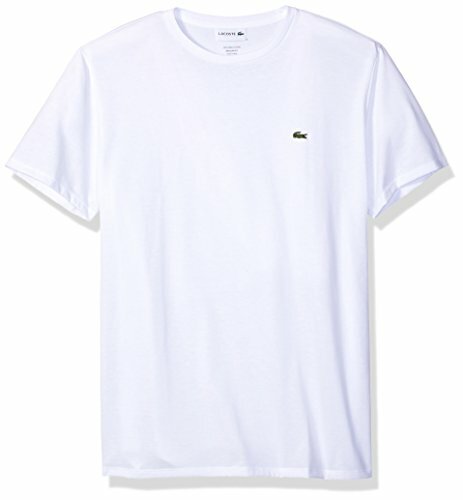 Order your normal Lacoste® numeric size; US equivalent sizes have been updated. XS(2) | SM(3) | MD(4) | LG(5) | XL(6) | XXL(7) | XXXL(8) | XXXXL(9) An irresistible Lacoste® tee you'll want to wear every day. 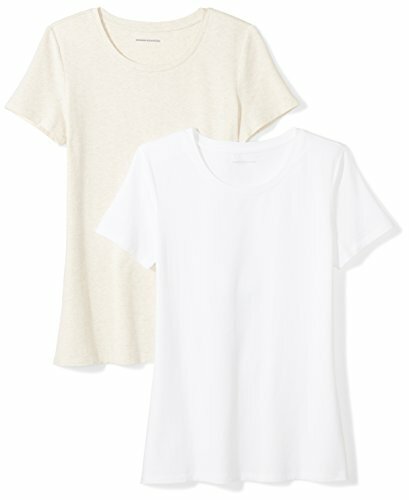 Lightweight tee is crafted from an ultrasoft Pima cotton jersey for easy layering or styled on its own. Regular fit sits straight through the shoulders and waist for a casual yet modern finish. Crew neckline and short sleeves. 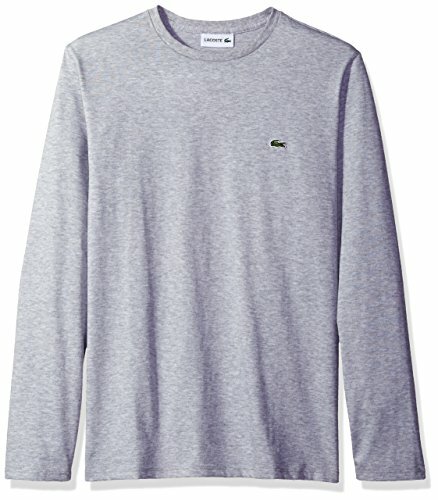 Signature Crocodile appliqué at left chest. Straight hemline. 100% pima cotton. Machine wash, hang dry. Made in Peru. Measurements: Length: 29 in Product measurements were taken using size 5. Please note that measurements may vary by size. 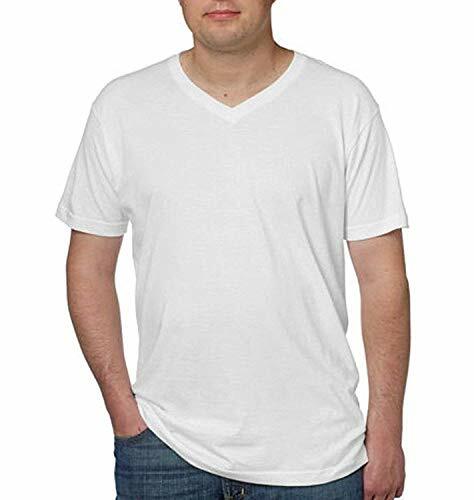 Be comfortable any time of day with the kirkland signature v-neck tee. Dress it up as an under shirt, or wear it by itself to stay casual. Made of 100% pima cotton, clingy shirts and itchy tags are a problem of the past. 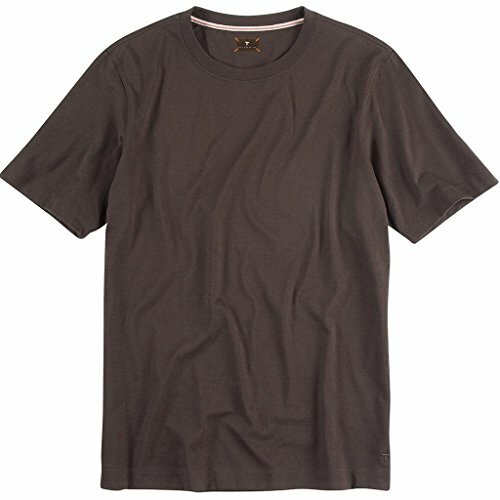 Features: long staple luxury pima cotton which provides strength and softness. 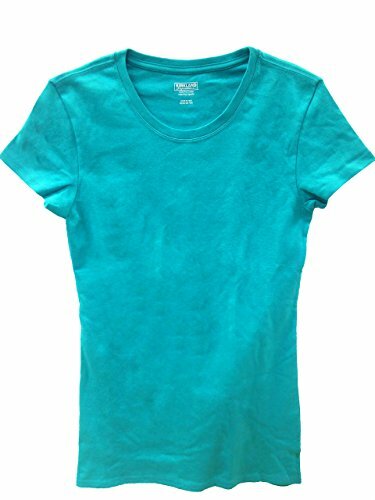 Reinforced neck and shoulder seams for increased durability tagless label for additional comfort made in bangladesh content: 100% pima cotton sizing: s: 34-36" m: 38-40" l: 42-44" xl: 46-48" xxl: 50-52" care instructions: machine wash warm with like colors only non-chlorine bleach if needed tumble dry low warm iron if needed. 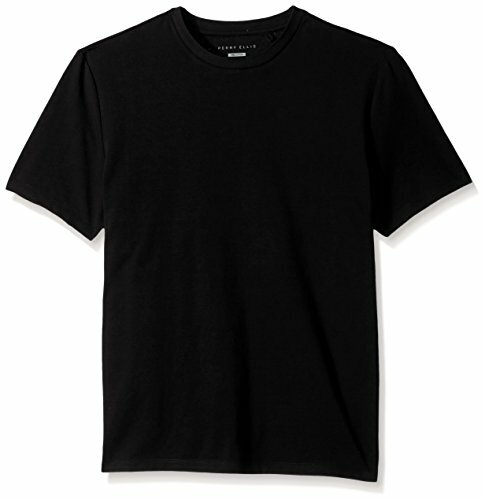 It s time to take a fresh look at men s t-shirts. The Jockey Signature™ Pima Cotton Crew Neck T-Shirt enhances the style of whatever you pair it with from simple shorts to 3-piece suits. The durable and pillow-soft Pima cotton fabric feels elegant against your skin. We designed the body to stay tucked during the most active day, and the collar to stay looking crisp and new, with no curling or stretching. 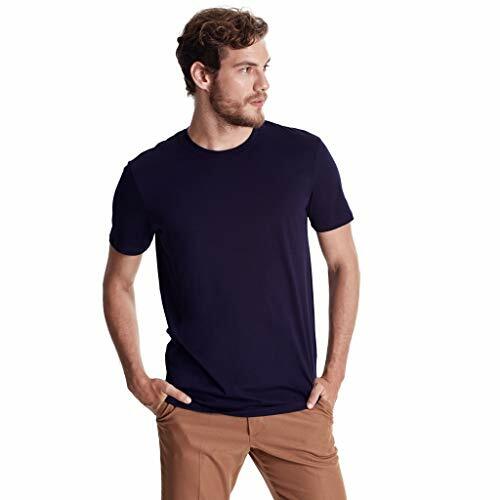 A Cool Tech finish wicks moisture away from your body to keep you dry and fresh, while StayNew® Technology helps men s t-shirts stay brighter, even after multiple washes. Sizing Info: Colors: black，white，grey，army green and yellow Sizes mearsured by hand, errors happen sometimes, but always within 1inch. 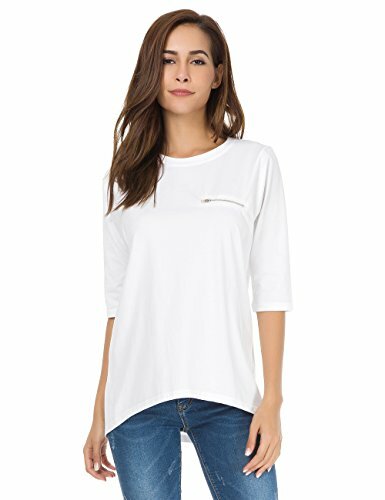 S size: length:26.37 "- -Chest: 39.37" --Waist:40.55'' --Sleeve Length:14.17'' M size: length: 26.77" --Chest: 41.33" --Waist: 42.51'' --Sleeve Length: 14.37'' L size: length: 27.16" --Chest: 43.30" --Waist:44.48'' --Sleeve Length:14.56'' XL size: length:27.55" --Chest: 45.27" --Waist:46.45'' --Sleeve Length:14.76'' XXL size: length:27.95" --Chest: 47.24" --Waist:48.42'' --Sleeve Length:14.96'' XXXL size: length:28.34" --Chest: 49.21" --Waist:50.39'' --Sleeve Length:15.15'' NOTE: 1. Please kindly compare the above detail sizes with yours before order. 2. Due to monitor settings, display pixels and other factors, there may be a little color difference. 3. Enjoy return and full refund for items within 30 days of receipt of shipment, so be ease to purchase. Still any questions, feel free to contact us at any time. Order your normal Lacoste® numeric size; US equivalent sizes have been updated. XS(2) | SM(3) | MD(4) | LG(5) | XL(6) | XXL(7) | XXXL(8) | XXXXL(9) Be at your best in an effortless Lacoste®Pima Jersey Tee. 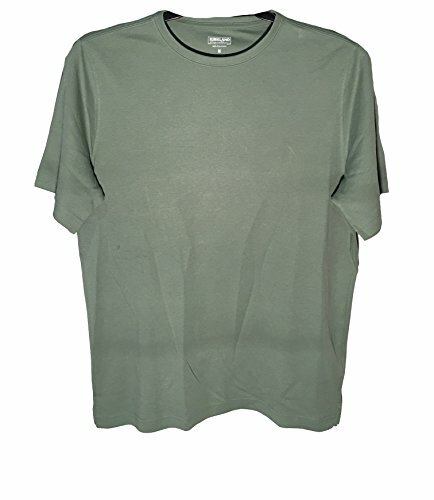 Soft jersey T-Shirt is crafted from a Pima cotton jersey. Self crew neck. Long sleeve feature. Signature crocodile embroidery at left chest. Straight hem. 100% cotton. Machine wash, tumble dry. Made in Peru. Measurements: Length: 29 in Product measurements were taken using size 4. Please note that measurements may vary by size. Being one step ahead of the game is something that only few can achieve. Left Coast Tee is there for the style pioneers who are always looking forward, looking for that next best thing. Push the limits and dare to be different, Left Coast Tee is behind you. Made with 100% handpicked Peruvian Pima Cotton, the Left Coast Tee looks great with jeans or a suit. Show the world what you got in this classic fit short sleeve crew neck tee, and watch it become your favorite shirt. Sizing information: Small (34-36" Chest); Medium (38-40" Chest); Large (42-44" Chest); XL (46-48" Chest); XXL (50-52" Chest). 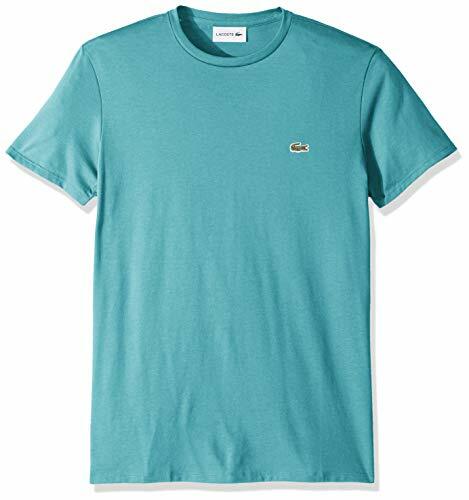 Crafted in ultra-soft pima cotton, this solid crew neck T shirt from Lacoste offers the perfect combination of casual comfort and classic style. Beyond basic, this very comfortable long sleeve will become your go-to all year long. 5.3-ounce 100% cotton 99/1 cotton/poly (Ash) 90/10 cotton/poly (Sport Grey Antique Cherry Red Antique Irish Green Antique Jade Dome Antique Orange Antique Sapphire) 50/50 cotton/poly (Blackberry Dark Heather Heather Military Green Heather Red Heathered Sapphire Lilac Neon Blue Neon Green Russet Sunset Tweed Safety Green Safety Orange Safety Pink) Seamless double-needle 7/8' collar Double-needle sleeves and hem Taped neck and shoulders Due to the nature of 50/50 cotton/poly neon fabrics special care must be taken throughout the printing process. The Jerzees Pocket T-Shirt is made with Dri-Power technology that wicks away moisture to keep you cool and dry throughout your day. We also included a rib collar for added durability, and a left-side chest pocket. If you are looking for a versatile shirt you could wear for multiple occasions, then look no further. 100% Cotton(9 oz ). Warm waffle thermal crew top for cold weather. Retains heats to keep warm and wicks away moisture to keep you comfortable. 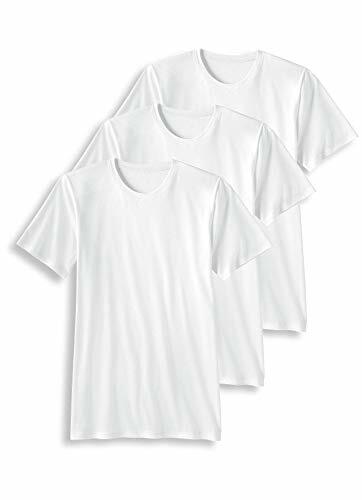 100% preshrunk combed ringspun cotton; easy to remove label; taped shoulder-to-shoulder; hemmed sleeves and bottom; ribbed collar; Ash is 99% cotton, 1% polyester; Light Steel is 90% cotton, 10% polyester. 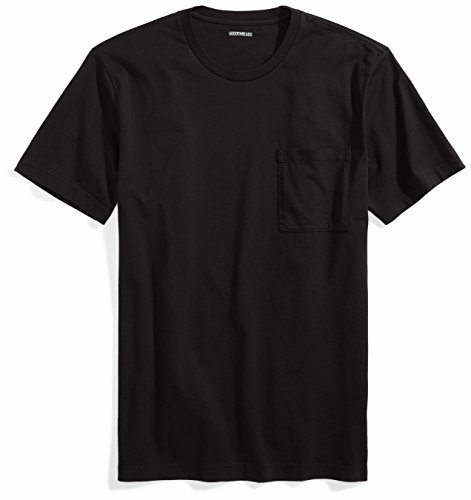 Choose all day comfort with Hanes men's 4 pack dyed pocket t-shirts in assorted colors.